Summer is fast approaching and that means a lot of things, road trips, beach time, and cabins just to name a few. How is your car or truck doing though? Do you wonder if it’s going to make it through the summer? Don’t wait till your broken down on the side of the road, get your car inspected and tuned up from Mr. Muffler. Why Should I get Tune Ups Or Inspected? Get your car inspected before you break down this summer. Come to Mr. Muffler! When you have an older car or want to ensure your used car lasts longer. Regular check-ups and tune-ups are part of regular car maintenance. Also, getting your car checked out every oil change isn’t enough to ensure your car’s longevity. You may notice little things that are underperforming, be it your gas mileage, brake squeaks, or a loud noise coming from the engine. Don’t leave these things to chance, or worse, damage your car. Get you car checked out or inspected at Mr. Muffler in Westland. Here at Mr. Muffler, we have a 21 point inspection that will help keep your car running longer. When you come into Mr.Muffler we’ll check your battery, car belts, fluids levels, filters, and breaks just to name a few. We make sure your car is running well and will be safe to drive on the road before you leave the shop. Make sure Mr. Muffler is part of your car’s pre-summer maintenance before you have any trouble get your car inspected and tuned up. When you get your car tuned up at Mr. Muffler, we check all your car’s reglar wear and and then some. We make sure that your spark plugs are working, check all your wires and replace them if needed. 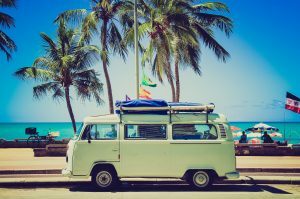 Finally, with the summer in full swing, you’ll want to ensure that your car can handle any trips or vacations you have planned, come into Mr. Muffler in Westland today! Mufflers and exhaust systems play an important role in the functioning of an automobile. Both help to prevent harmful gases from entering your vehicle as well as help to maintain a quiet ride to your next destination. Without a properly functioning muffler or exhaust system, your car and your health will be in jeopardy. Mufflers can damage, break or wear out over time, due to a climate change and/or road conditions. Making sure that your automobile muffler is serviced properly is very crucial. How Frequent Should One Check Their Exhaust System? Mr. Muffler suggests that you have your exhaust system checked out at least once every year. That way, it’ll be easier for you to detect when your muffler needs replacing or repairing. Getting your car serviced annually will also help to see if your emissions system has other serious problems that aren’t so easy to notice, such as loose brackets, stuck valves and pinholes. 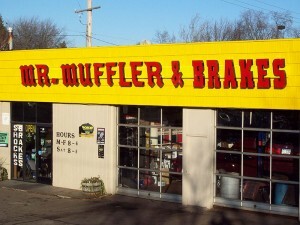 Serving in Westland and all of Wayne County for over 20 years, we are experts at muffler and exhaust systems. When coming in for a vehicle inspection, we look at everything to make sure that your car is in tip-top shape for the road. We specialize in car maintenance services, such as brake repair, and also do complete exhaust system installations, including custom exhaust system design. Don’t be that person that everyone hates to drive behind. Get your muffler inspected and fixed today!